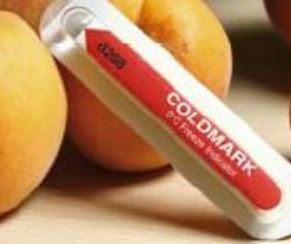 Currently control, protection and monitoring of the packaging is a priority in shipments: Indicators of impact, rollover, temperature, humidity, Data Loggers, protection for coils and cables, self-sizing edge protectors, handling rings, inflatable mattresses or pallets Slip Sheets are solutions to keep products in good conditions during transport. Anti Rust protection of metallic elements is obtained by different types of materials impregnated with VCI: Paper, Film, Stretch Film, Polyethylene Film with Bubbles, Film Polyethylene High Puncture Resistance, Pills, Diffusers and Sponges. See more product information here. 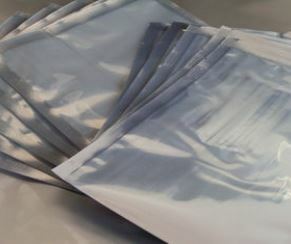 The use of aluminum bags helps product packaging. It’s the perfect solution for long distance shipping goods or for storing long-term products, as it maintains constant conditions inside the packaging. The High Resistance Film is a coextruded film in several layers having a high performance in mechanical strength and puncture. It is the perfect complement to prevent the movement of palletized goods, providing protection against impact and friction, as well as ensuring good insulation of environmental conditions, due to its waterproof condition. You can control all strokes that occur in both transport and handling of sensitive products with Impact Indicators. There are different formats, label or device, consisting of a small tube with a red liquid in suspension. If the product suffers more than a G-level impact, red liquid is released indicating that the product has had an impact. Tilt Indicators detect and signal an excessive inclination of goods, and its possible rollover. The device is automatically activated when taking off the sticker on the back. 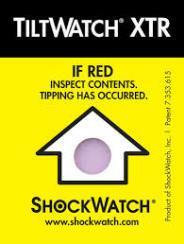 Once attached to the packaging or product, the indicator shows the inclination of the object leaving evidence of movement. When activating the device it can not be desactivated or manipulated and not damaged by environmental conditions. 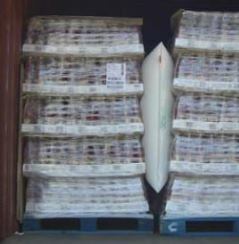 They represent a reliable and economical solution to prevent damage of goods during transport. With Temperature Indicators we can control easily and inexpensively temperature variations suffering goods in transport or warehousing. Each indicator has minimum or maximum preset temperature that controls the increase or decrease in temperature over those limits. 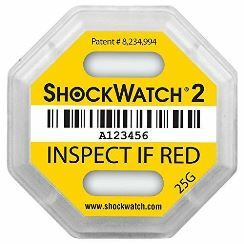 Once receiving the goods you can easily verify whether it has exceeded the limits to which your product can be exposed, controlling any malfunctions in the cooling systems or insulation containers. Humidity Indicators can control the humidity to which is exposed a product or packaging. 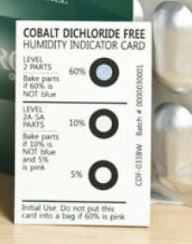 They are stiff paper card with an indicator reading relative humidity (RH), without cobalt dichloride. The Indicator can verify whether a certain value of the relative humidity, shown with the turn from blue to pink, is exceeded. Thanks to the wide variety of different moisture levels (from 5% to 95%) you may control the environmental conditions to which any merchandise is subjected . Combining Humidity Indicators with desiccants can guarantee the environmental conditions within the packaging and consequently the quality of the products transported. 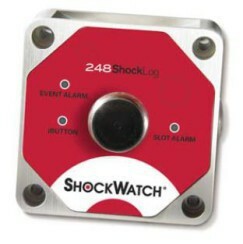 Enviromental Conditions Recorders or Data Loggers for controlling a multitude of data that goods are exposed during transport and storage, and can monitor and record all the information collected. The Data that can be recorded are: temperature, humidity, shock, vibration and geopositioning depending on the model chosen. It is possible to control how the transports are made, the reliability of a maritime shipping container or vibrations of large items, among many other applications. Once the information is accurately monitoreized, it is easier the establishment of rules and measures necessary to avoid damaging loads during travel or the effects of weather conditions on fixed devices. The plastic sheet, used for Coil and Cable Protection, is obtained by a special production process and guarantees perfect protection of all those products which are stored or transported in rolls. These process obtains a sheet with two surfaces: a smooth inner layer allowing a perfect adherence to the product and a corrugated outer layer that helps cushion friction with other materials while providing a high resistance against impact and compressions in the manufacturing process. Used by major global steelmakers and cables, it is also used in various industrial applications. 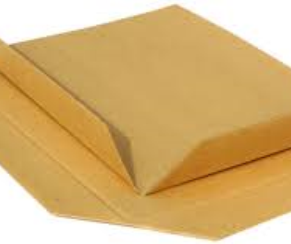 The Corner Protection protects the edges of the packaging of impacts and friction with other materials. They are presented profiled and prepared to be cut, facilitating the application to any shape of packaging. Thanks to its design and adaptability they provide an optimal solution to protect irregular objects as polygons, triangles and round packaging. 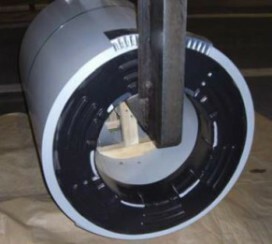 A Ring designed for Steel Coil handling with an easy application. It is composed of various high quality polymers allowing manipulation of steel coils or wires avoiding damage due to impacts or scratches inside the hole. The ring allows full use of the coil, solving the problem of not being able to use the coil as a whole because its lower part has been damaged when handling. It is a reusable product with a low economic cost. 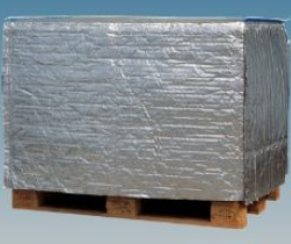 The Slip Sheets Pallets are compact fiber, made to reduce volume, weight and cost in transport operations and storage of goods. Its cost is 4 to 5 times below normal pallets and presents high qualities of strength and lightness. By having a smaller volume allows a more efficient use of space between packages or pallets, achieving an improvement in warehouse management. It also avoids the classic problems of protruding nails on wooden pallets and fumigation of it in the countries that require it. It is a product made of ecological and completely recyclable raw materials. 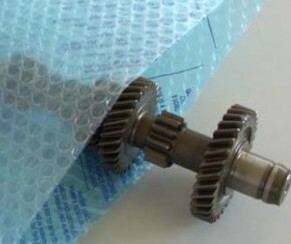 Transport Airbags are a simple and inexpensive way to solve the problem of movement of goods during transport. Transport airbags are highly resistant products in different sizes. Placing them is simple: you just have to install the mattresses in empty spaces and inflate using its valve. Once reached the necessary pressure the mattresses immobilizes and protectsthe goods from possible impacts caused by movements during transport. The isothermal insulation allows us to maintain the temperature of the packages or products in a constant way. It isolates from the outside and does not allow the temperature changes that occur during the transport, both the rises as well as the temperature drops. It can be placed on pallets in the form of covers or inside the maritime containers without reducing the space to load the products. The isothermal insulation is a product of little thickness, flexible and resistant to the compression. Usable both in summer and winter, they can be of single use or reusable.